Why Worry About Having a Tow Truck On Call? Towing services are essential because they can transport your vehicle home or to a garage if it breaks down and can’t be driven anywhere. First off we highly recommend that you DON’T just try and to tow your car with another car, you could very easily cause severe damage to both, then you’re in need of two trucks! Things can turn south far faster than you may realize. The best thing you can do it call a professional towing and recovery company and wait. Save yourself the time and money and go ahead and call a professional towing and recovery company in today. The first reason you should not pull your vehicle with another vehicle is that it’s hard to get a good hook up and you need to have super heavy duty chains to avoid breaking. Not being hooked up properly could lead to a runaway car, and if this happens, it can veer off the road and go over an embankment or hit a tree thereby causing more damage. A car moving without a driver is a couple ton wrecking ball, it can cause immense damages. In worse scenario, it can veer into the opposite lane and hit another vehicle or stop dead in the road where someone behind could hit it. Regardless of what COULD happen, you need to avoid the chance of that completely and just have a professional towing company come in. 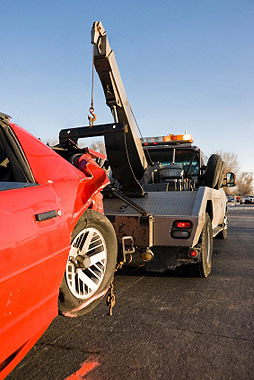 A towing service is also essential because you can cause damage to the back end of the vehicle doing the pulling and the front end of the one being towed if they collide together. It is very difficult if not impossible to get two vehicles going together at the same speed, any anything other than that risks great damages. If the engine of the vehicle doing the towing is not large and powerful enough to support the one being towed, you run the risk of putting too much strain on it and this can have detrimental effects on the other car. You also have to take into consideration that in some areas, towing a vehicle with anything other than the actual tow truck may be illegal. It is considered a dangerous practice which can easily put other drivers in jeopardy. If you are in one of these areas, you run the risk of being ticketed and having to pay a very large fine. Chances are that that fine alone will cost more than a towing service would have to get you safely where you need to go. Using a professional and reputable tow service is crucial because it’s much more safe and also protects your vehicle. You won’t have to worry about any of the possible issues listed above if you do make the right choice to begin with. Towing companies are very experienced and you don’t have to risk any kind of damage. Don’t take the risk, you should get roadside towing service and enjoy the feeling that having peace of mind brings. It’s a great feeling to know that you’ll be taken care of when you need it, and it will save you so many future headaches. When you need a tow truck call Unlimited Recovery at 919-790-9393. We are here to cover you in all of your towing, parking lot enforcement, and emergency recovery services! If you ever have a breakdown or have an accident, the idea of not using a car towing service might pop into your head. While it may sound like a good idea at first, it probably isn’t. Towing a vehicle using a ball hitch is unsafe and could cause injury to yourself or others. Here are four reasons you don’t want to tow a car using another car. Every vehicle has an amount of weight it can pull without issue. Many people who have trailer hitches assume that they can tow a car, but that isn’t necessarily true. A variety of incidents can occur when you pull something more massive than your car’s tow vehicle rating. Too much weight on the tires can result in blowouts. Going up a hill can result in an overheated transmission. Too much pressure on the frame can result in a broken suspension, and when you need to stop your brakes may not be able to handle the additional load. Many states require towing companies to get licenses and insurance to be able to operate. You don’t have any of that. In addition to that, towing in many states requires safety chains, proper tail lighting, and sometimes warning lights. Visibility requirements might also be spelled out in the law and towing a car might violate that. Tow trucks are specifically designed to have exceptional braking capabilities due to the extra load they are pulling. Your car isn’t designed or equipped with that. Without the enhanced braking system you may be unable to stop, or the car you are towing could collide with you. Having a proper braking system while pulling is essential. When you are towing a car, you are responsible for everything that happens. If you damage someone else’s car, you may be found at fault. In addition to that, many insurance companies will not cover liability when towing a car is done by anything other than a professional service. You don’t want to end up footing the bill. 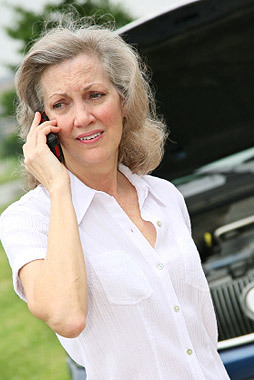 Instead of using your car to tow a car, start by calling your insurance company. Some insurance plans include car towing service, as does AAA. If that fails, call a recovery company such as Unlimited Recovery. They can help you get your car where it needs to go, in one piece at a reasonable price. Call 919-790-9393.